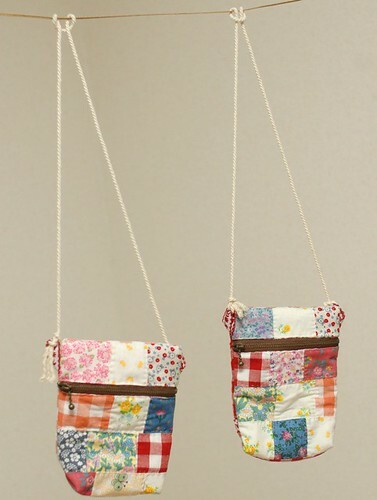 Yesterday I made a little bag for my little niece. I wanted to patchwork beautiful fabrics from Norway, my friend Ravenhill. I combined some beautiful flower fabrics from her, and some Japanese cotton. I made two, one is for my niece, the other is for my shop. This pattern is very easy to make. 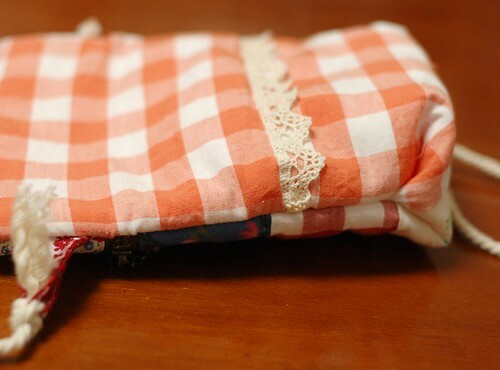 I made it with a tutorial of a Japanese sewing site Peachmade. You can download the pattern and the instruction from this page, at the last. There are three PDF. (The first is instruction, the second of the pattern of large size, the last one is for small size). I'm sorry but it is only in Japanese. 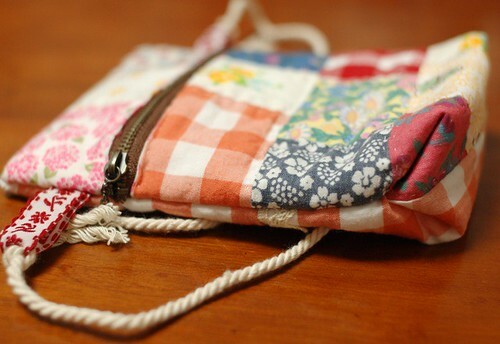 I didn't use the pattern, but the way to make this pouch is great. It's very easy to make it. And the alignment of the zipper is well considered. 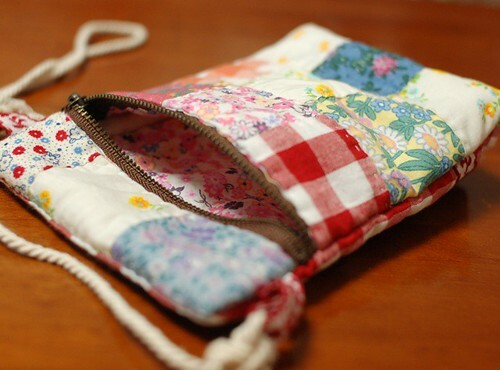 The maker checked with her daughter, and she realized if the zipper put on the top of the pouch, it's difficult to open it for her daughter. So the pattern put the zipper a little lower place. Now I'm working on my cat pouches. How cute! I am sure she will love it! 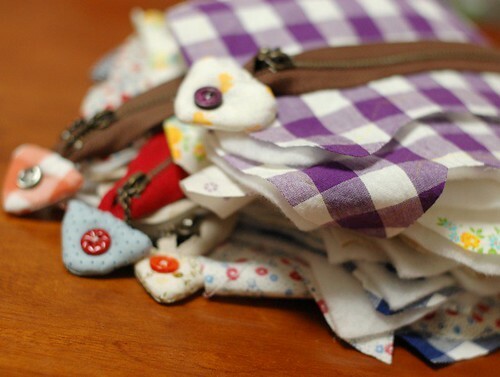 beautiful sewing jobs you do..... and you are one busy sewing girl! 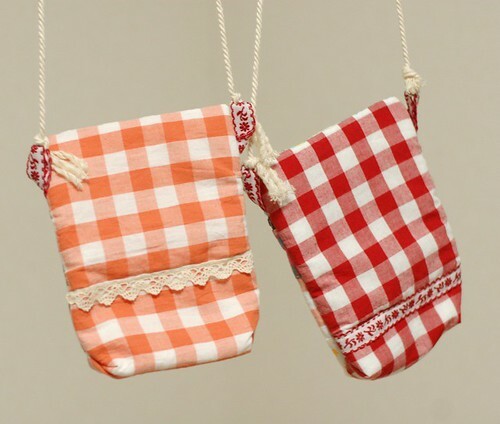 thanks for the links to those two cute bags ....which I for sure need to check out! They are beatyful, I will try to make one. 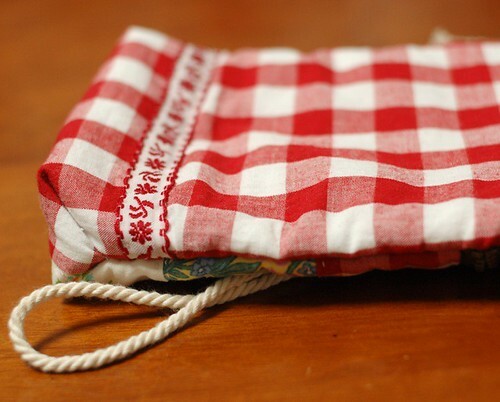 Will you still be puting one of these pouches in your shop? - I love it!